Dr. Christopher Delbridge is a radiology specialist in Phoenix, Arizona, who is currently affiliated with St. Joseph's Hospital and Medical Center and Paradise Valley Hospital. 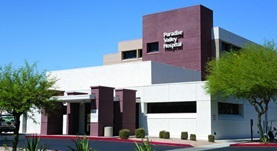 He finished his medical school at Arizona College of Osteopathic Medicine and did two residency programs in Radiology and Orthopedic Surgery at Maricopa Medical Center. 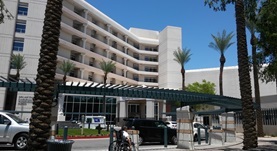 He also completed two fellowships, one in Neuroradiology at Barrow Neurological Institute and one in Musculoskeletal Radiology at Mayo Clinic Arizona. The doctor is certified in Diagnostic Radiology and has an experience of more than 20 years.